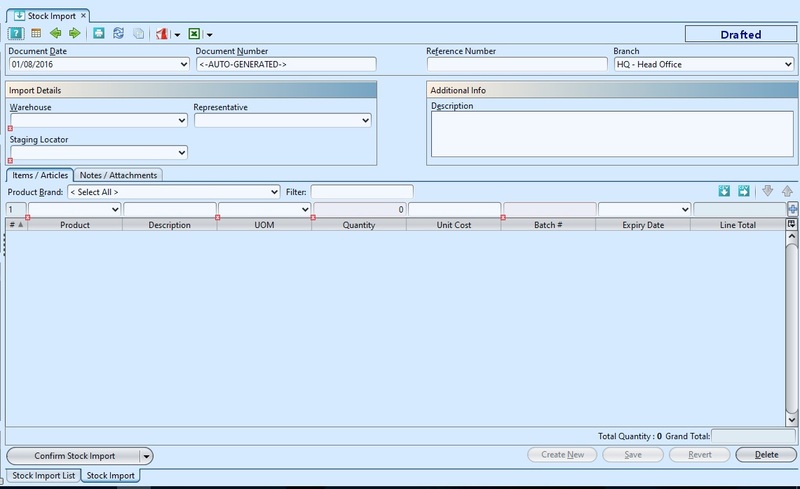 Stock Import allows user to import products’ stock into the system inventory. 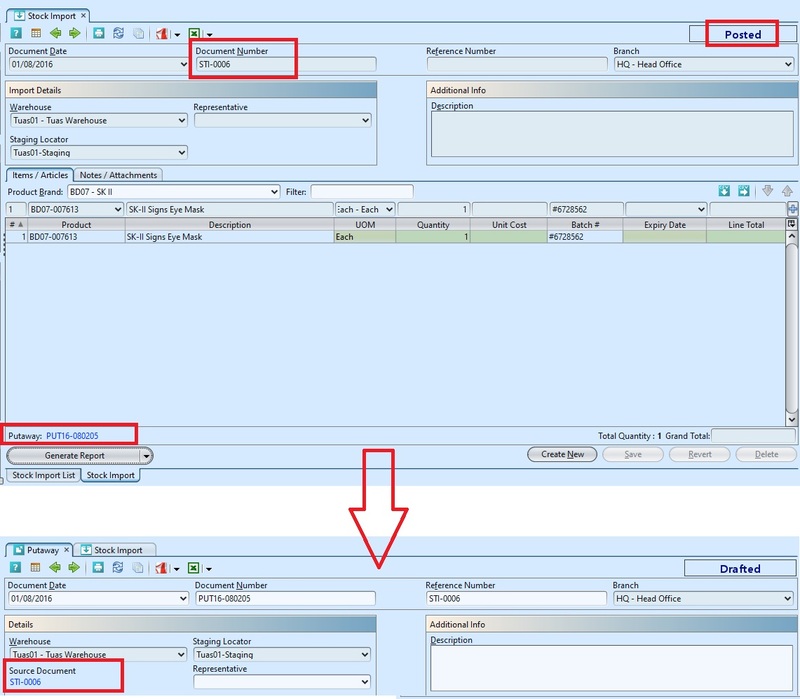 This is usually done when user first use the system, to populate it with their existing inventory. Note: This process does not post to balance sheet accounts, it only post to inventory. 13. 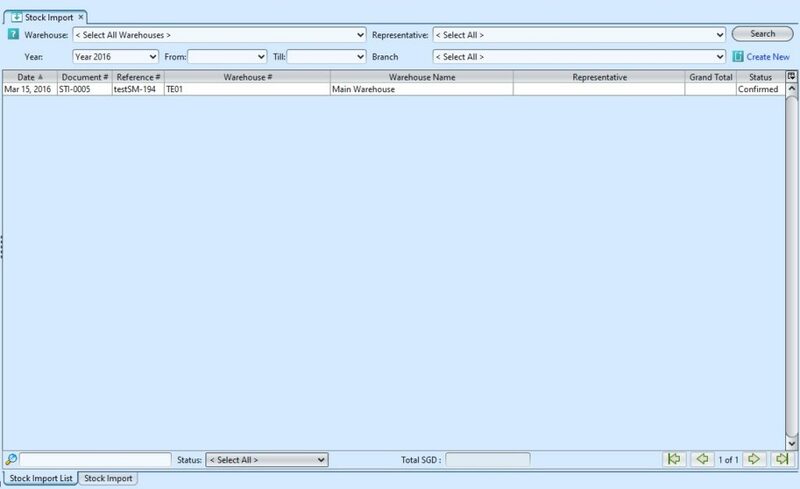 Open “Inventory – Warehouse (Master)”. 14. 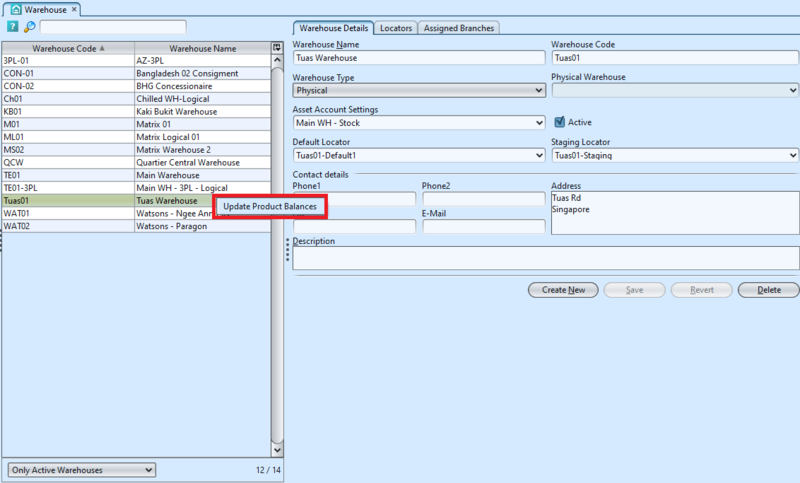 Right-click on the warehouse (of the completed Stock Import) from the list of warehouse on the left, and select option “Update Product Balances” for the warehouse. This step updates the warehouse’s opening balance in some of the inventory reports.